I guess this is probably the best place for this. For a little over the last month, I've been hearing rumors that the primary center I've bowled at since 1989 will not pass USBC inspection for next season without some serious money being spent. According to the hearsay that I heard Friday night, apparently some part of the cribbing or other related structure under the lanes has expanded and the synthetic beds are more than 42 inches wide. Has anyone heard about anything like this before? Center will probably offer league bowling just not sanctioned. USBC is shooting their self in the foot. What does it matter if the lane is a little wider except maybe by the 7 or 10 pin. I am curious to see what happens. I'd likely switch centers, I hope the center I'd switch to has space because I'm not the only one who would leave. It is ironic when physical dimensions (outside of levelness) play much less into scoring than new ball technology and oil. I can't see how the synthetic lane has widened. It's a solid piece of plastic, like plywood, not in pieces. If the under bridging widened, it had to compress the gutters, not widen the lane. There is an older cover like linoleum that was laid over wooden lanes. Now, in that case, the wood under it can widen as it dries out and spaces appear between the boards. We have a new lane here that took over a closed big store in a shopping Mall. 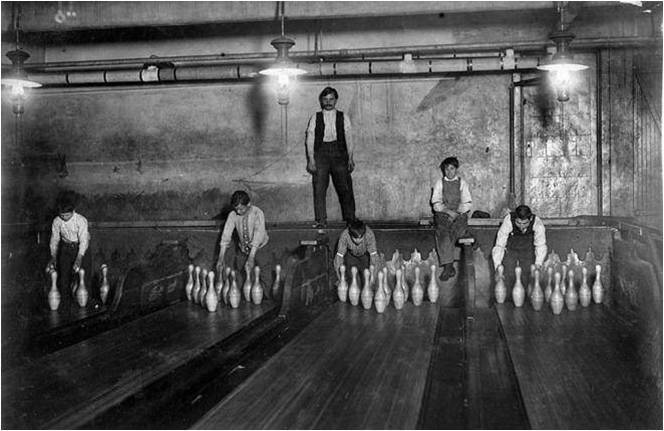 But, to fit all the lanes in, USBC allowed them to narrow each lane by an inch. So, about 38 boards instead of 39. Cut half board off each side. I was thinking the same thing, it just seems a little odd. When they changed to synthetics in 1996, it was a complete replacement where they ripped out the wood lanes. If you're referring to what I believe was usually called Guardian with the linoleum like product, I had the misfortune of bowling on that for a few years while in college. For whatever this means for leagues, they're currently converting a room behind the last two pairs where the lockers and the Pro Shop were located into a private party room. The lockers and Pro Shop got moved to an odd hallway and small room just past the last pair. Ironically, it's not the worst location the Pro Shop has had. Years ago when it was operated by someone else if you were getting something drilled you had to meet him at the front desk and then walk to a room that required you to walk up the aisle next to the last pair, go through the door used by the mechanics, go through a storage area used for parts, and then you got to where he drilled the balls. The move does make sense, the parties currently block the side entrance that most league bowlers use (no stairs) and the room they're converting is right next to the snack bar and bar. Guardian is like a plastic film, laid on the lane. It may have some elasticity. Its primary purpose is its reflective value that is good for cosmic flashing lights, and black lights.